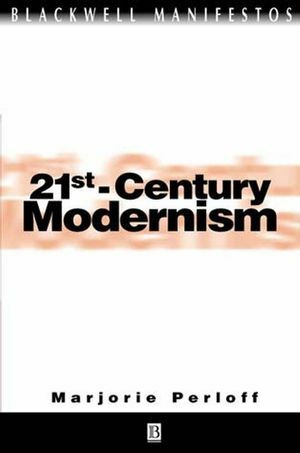 This revisionist narrative of poetic change in the twentieth century challenges the accepted notions of what poetry is and can be in the new century and makes the case for the seminal place of poetry in contemporary culture. Marjorie Perloff is Sadie Dernham Patek Professor of Humanities Emerita at Stanford University. She is the author of numerous books, including Radical Artifice: Writing Poetry in the Age of Media (1991), Wittgenstein's Ladder: Poetic Language and the Strangeness of the Ordinary (1996), and Poetry On and Off the Page (1998). She is considered to be one of the most distinguished critics now writing on twentieth-century poetry and poetics. 2 Gertrude Stein’s Differential Syntx. 3 The Conceptual Poetics of Marcel Duchamp. 4 Khlebnikov’s Soundscapes: Letter, Number, and the Poetics of Zaum. 5 “Modernism” at the Millennium. Offers a revisionist treatment of contemporary poetics and its place in the history of twentieth-century poetry. Argues for a close link between Modernism and present-day poetry. Relates poetry to the visual arts and contains numerous illustrations. Written by one of the most distinguished critics of twentieth-century poetry and poetics. Part of the prestigious Blackwell Manifestos series.